Everything about our site is designed around this primary goal. This site does its job when through education, timing, and community you make a 10-bagger options trade and can't wait to tell the world what you just did. Our rock star trading experts call out their personal trades through the OM live chatroom, private Twitter feed, and SMS alerts every day during market hours. Trading alongside seasoned and successful traders provides an essential edge toward making better trades. We have a massive library of stock options training videos, tons of blog posts, regular webinars, and helpful discussion groups. Our community has grown over the years because of the success of our members, and we want you to be a part of it. At Option Millionaires, We Make Better Traders! ✔ I’m ready for the completely free 3-day trial. Let’s go there now! ✔ Convince Me. Can you give me 5 more reasons why I should join? ✔ Help, I'm brand new to Options! How do I get started? 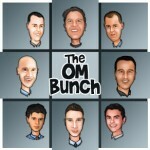 Welcome to the OM Community! Once you have learned the basics and are ready to trade, we look forward to trading with you in the chatroom!